Having a customer referral scheme in place allows clients to be recommended to your agency via other happy customers, ensuring that new clients feel comfortable and trusting from the start. Referrals not only boost customer growth and new business, but if all goes well, each new customer will continue the process by referring more clients too. Meanwhile, having a customer loyalty scheme in place is crucial in helping to retain customers, rewarding them for their business so that they in turn will recommend your agency to their family and friends. So how should you go about establishing a successful customer referral or loyalty scheme? We speak to the experts to glean their tips. He adds that a simple referral scheme can be inexpensive to set up, with costs incurred only when it generates incremental revenue for your business. “For example, print business cards with your referral message on to include with booking confirmations, when handing out brochures or with quote details, and add it into your emails,” he advises. Forder suggests having a scheme that rewards both the referrer and the new client. Each quote and booking can include a £10 off discount or voucher, with £10 off per person for new bookers, and a £10 voucher for those who refer potential customers that end up booking. “You may wish to change the reward values based on your average margins, set a minimum spend or take the redemption off the total booking value rather than per person,” he adds. 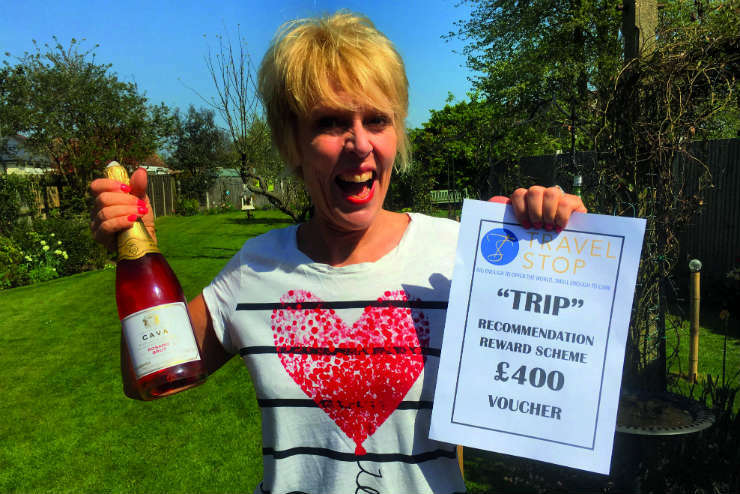 Bridget Keevil, founder of Travel Stop in Suffolk, has a customer referral scheme in place called the Travellers Reward Incentive Programme (TRIP), whereby clients earn points when a recommended new customer books with the agency. For example, if a client’s friend books a family summer holiday for the first time, the referrer earns 300 points, while a luxury cruise to the Caribbean will earn the referrer about 1,800 points. The points can be redeemed for prizes, which range from a bottle of wine to a spa day at a local boutique or health club. Keevil launched the scheme about four years ago and says it has been hugely successful across her three stores. “We’ve had over one million pounds of new business – only customers that haven’t already booked with us are eligible for a recommendation,” she says. The scheme is also promoted on the agency’s website. When a client makes a booking and expresses an interest in referring someone, they are given a business card with their name on it. “They give that to their friends or family, who in turn give it back to us, and the original customer is then credited with points equivalent to the commission on the new booking,” explains Keevil. “We include three cards with ticket packs (and give out extras for repeat referrers), as well as explaining what the scheme involves so that they aren’t just thrown away,” she adds. Gifts for referrers also include an afternoon tea in a local hotel, Michelin-star restaurant vouchers, taxis to the airport, airport lounge access and parking. While it’s only the referrer that receives the gift, the newly referred client also has the chance to become a referrer and earn the points themselves, she explains. “Serial referrers” can cash in their points on one booking, or save them up for an even bigger reward, she adds. When it comes to using referral tools, Keevil keeps it simple. “I use a husband and a spread sheet – both are relatively cheap,” she laughs. Ian Goodenough, director of The Destination Lounge in Devon, has created a customer loyalty programme that also includes a referrals element. If club members refer someone, the referrer gets £10 of high street vouchers from a shop of their choice. “We send out emails and Facebook posts telling clients that the Destinations Club exists and encouraging them to join,” explains Goodenough. “Clients also receive a physical form to sign up to the club in their welcome documents, or they can sign up on our website. “We also encourage referrals by placing a business card in with each booking, and including a cover letter asking for a referral if they’re happy with our service,” he adds. 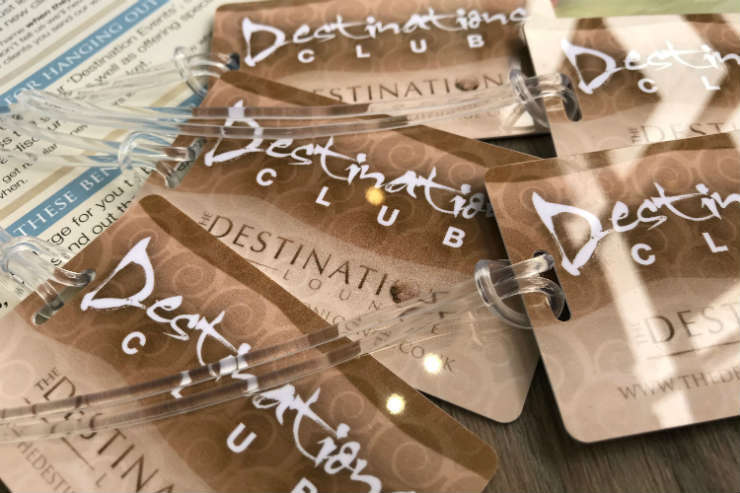 Members of the club are signed up to the agency database, and each member gets a smart luggage tag with the Destinations Club logo on it when they join. For clients who refer family and friends regularly, the agency will take note and invite them to one of the agency’s VIP evenings, which are normally ticketed events. He says the treat is tailored to the client and is based on the amount they’ve spent on the holiday. Andara Travel in Solihull relies almost entirely on customer referrals, so having a process in place is a must. “It’s more ad hoc rather than a proper referral scheme but it works well for us,” explains owner Sandra Mutter. “If someone refers us locally, we usually bake them a batch of our famous homemade brownies, which is always much appreciated, especially if the person referring is part of the family.” Mutter says the agency will also send gifts for referrals, and the gift choice will reflect the personality and needs of their new client.